Andres Manuel Lopez Obrador supports NAFTA and currently leads numerous polls, suggesting he could be elected as Mexico's next president in a few months. MEXICO CITY — While the countries re-negotiating the North American Free Trade Agreement huddled quietly in a Mexico City hotel this week, a neighbourhood away a noisy political event unfolded that could affect the agreement's fate. A boisterous throng of 10,000 gathered a few blocks away to approve the platform for the left-wing nationalist political party currently leading the polls for Mexico's July presidential election. That very election has prompted insiders to declare a sense of urgency in competing NAFTA talks — before Mexico's voters potentially hand the presidency to a left-wing anti-establishment party whose leader famously held anti-NAFTA views. That candidate is Andres Manuel Lopez Obrador — a household name here, known universally by the acronym AMLO. He's also a former two-time presidential candidate and ex-mayor of Mexico City, and currently leads numerous polls, suggesting he could be elected in a few months. His party is trying to cool that firebrand reputation. The platform itself contains a dollop of centre-left, belt-tightening economics a la Bill Clinton and Jean Chretien: it promises spending cuts and a balanced budget initially, increased social spending later in the mandate, and corporate tax cuts in a special economic zone near the U.S. border to make businesses competitive there. It offers qualified support for NAFTA, calling it a guarantor of stability that could use improvements, particularly for peasant farmers in Mexico's south. It also argues that the talks should happen under Mexico's next government, because the current one led by Enrique Pena Nieto lacks the popularity and legitimacy to negotiate on Mexico's behalf. The man who presented the platform is a wealthy industrialist. Alfonso Romo was once skeptical of Lopez Obrador, and doesn't even belong to AMLO's Morena party. But the morning after the platform release, speaking over breakfast in his office overlooking Mexico City, Romo explains why he came around on AMLO. He said he observed his competent and wildly popular reign as mayor of Mexico City, and also got to know him. 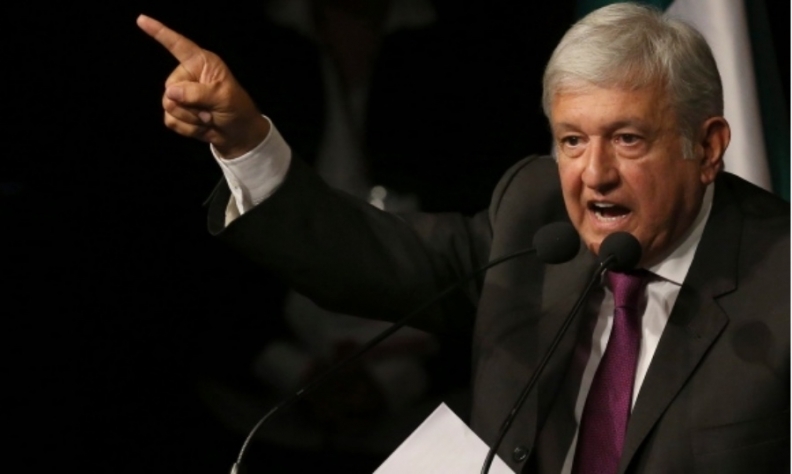 He now bristles with indignation that anyone would dare compare AMLO to Hugo Chavez, a frequent slur levelled just this past week by former Clinton and Obama administration official Lawrence Summers. "Pure lies," Romo says, who calls his candidate "pro-business." "We are pro-NAFTA. We need NAFTA. We believe in a strong North America...We are not going to raise taxes. We are going to reduce expenses. We are going to balance the budget in the fourth year." He even rejects the populist label. Romo says that term better applies to the current and previous government of Mexico, who over the last decade allowed the national debt to balloon. He insists his firebrand friend is even more closely aligned with Canadian and American positions on NAFTA than the current U.S. government — for instance, by agreeing wholeheartedly that Mexican labour standards need toughening, as do intellectual-property rights. "We've been a maquiladora (cheap labour) country," Romo said, stressing that Mexico must move up the economic value chain, rather than relying on low-wage labour to attract investment. "We don't want to be a maquiladora country." The party intends another confidence-bolstering exercise next month. It plans to announce its planned cabinet on Dec. 14, nearly seven months before the election, and a full year before the next government is sworn in. It will be modelled on Justin Trudeau's half-male, half-female team. One Mexico watcher says there's also a 50-50 chance AMLO ever gets to form that cabinet. Duncan Wood of the Mexico Institute at Washington's Wilson Center says the odds of Morena winning this election are about even, and will depend partly on whether well-regarded technocrat Jose Antonio Meade runs for the ruling PRI, and whether he winds up having talent at retail politics. He said AMLO is pursuing dual political goals: trying to calm the business community, while at the same time pursuing the votes of poor farming communities in the south whose votes are critical to his election. His stance on NAFTA is consistent with that — he's calling for a preservation of trade, with more help for farmers. "What's in (that platform) is not a surprise at all," Wood said. "He said earlier this year, and it was a shock to people, that on balance NAFTA has been good... It's in keeping with the notion that he has moderated over the years. Because he used to be quite vehemently anti-NAFTA." He said the one major anti-privatization policy AMLO holds dear is reversing Mexico's energy reform of 2013. He has railed against the deal as corrupt, and insists that rooting out the rot in public contracts is one way he'll cut costs. But Wood said AMLO has surrounded himself with pro-business policy advisers. They go beyond Romo, whose wealth stems from interests in insurance, tobacco, and manufacturing, and who sits on an advisory board of the World Bank. Romo laughed when expressing his amazement at how politely the partisan crowd received him. "I was afraid. I thought, 'I'm speaking in front of the radicals of Mexico,"' he said. "They applauded like you cannot imagine... Businesspeople with the party of the left — what happened was historic." But he says it's not the first time his family has participated in an overhaul of the political order. Romo notes that the family of his great-grandfather, Francisco Madero, were among the rare wealthy supporters of the Mexican revolution. "We are not against market economics," he said. "We just want a more just country."